Q: What is Return Tickets? A: “Return Tickets” is a feature that allows you to return tickets you can’t use in exchange for Experience Credit that can be used to purchase seat upgrades or additional tickets to a future game. Q: When can I use Return Tickets? A: Return Ticket may be used for any Wizards regular season game up until 48 hours prior to tipoff for the respective game. Please note that the final day to return tickets for the 2018-19 Wizards season will be February 28. The Return Ticket function will be deactivated at 12:01 A.M. on March 1, 2019. Q: What do I get in exchange for my tickets? A: Experience Credit based on the price paid for the seats exchanged. Returning tickets between 48 hours and 7 days prior to tipoff earns you credit in the amount of the price paid for the seats. Returning tickets more than 7 days (168 hours) in advance of tipoff earns you a bonus 15% credit in addition to the amount of the price paid for the seats. Q: How do I return my tickets for Experience Credit? A: Download the Wizards Mobile App for iPhone or Android and login with the email address tied to your DC 12 Club membership account. At that point, you’ll be able to select games to exchange. Q: How does credit amount get determined? A: Returning tickets between 48 hours and 7 days prior to tipoff earns you credit in the amount of the price paid for the seats. Returning tickets more than 7 days in advance of tipoff earns you a bonus 15% credit in addition to the amount of the price paid for the seats. Q: How many times can I use “Return Tickets” to return my tickets? A: You can use the “Return Tickets” feature to return a maximum of 10 games during the regular season. 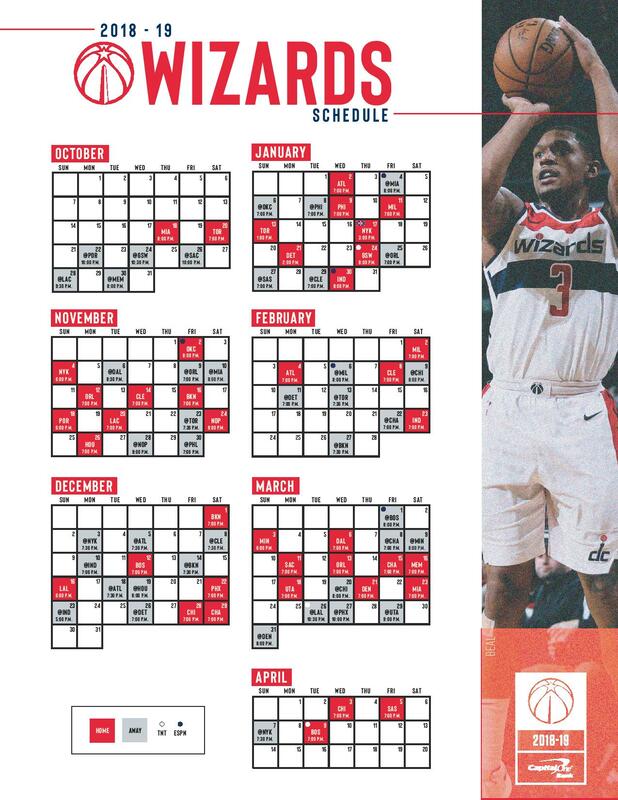 Please note that the final day to return tickets for the 2018-19 Wizards season will be February 28. The Return Ticket function will be deactivated at 12:01 A.M. on March 1, 2019. Also note that there will be instances throughout the season when the Return Ticket function is no longer available for particular games. Q: When do I have to return my seats in order to receive credit? A: For games you can’t attend prior to the February 28, Return Ticket function cutoff date, tickets may be turned in up until 48 hours prior to the scheduled tipoff for each designated game. Once a game is 48 hours from tipoff, no additional returns will be permitted. Beginning on March 1, 2019 at 12:01 A.M. the Return Ticket function will no longer be available for any remaining Wizards games. Q: What happens to my original seats? A: Your original seats are returned to the team and may be used by other fans who are upgrading their seats or adding seats during the game. Q: If I only plan on using two of my four seats for a given game, can I return the other two seats? A: Yes, you select exactly which seats are returned. Q: I used Return Tickets, but then decided I can attend the event. Can I cancel my exchange and get my original seats back? A: No. All transactions are final and cannot be reversed. Q: Will my original tickets/barcodes work once I have selected “Return Tickets”? Q: Can I return games over the phone or through email? A: No. You may only return games through the Wizards Mobile App. Q: Can I sell my tickets on the secondary market after selecting “Return Tickets”? A: No, your barcodes will be invalid. Q: I am on a payment plan with my season tickets. Does this have any impact on my ability to make returns for credit? A: Only those tickets that have been fully paid for are eligible to be returned. On a payment plan, the earliest games in a season are paid off first before later games. If you are unsure which games are paid off please contact your dedicated Membership Services Manager. Q: When is the latest that I can return my tickets for a particular game? A: You may return your credits up until 48 hours from tipoff to receive credit. Q: If someone transferred seats for a game to my account, may I return those tickets? Q: I listed my tickets for sale, but they haven’t sold. Can I still turn the tickets in for credit? A: Yes! Tickets that have been listed for sale can be returned for credit, but the listing must be cancelled first. No tickets that are actively posted can be returned via Fluid Ticket. Q: What can I apply Experience Credit towards? A: Experience Credit can be used to upgrade your seats or to purchase additional seats for select games from inventory available on the mobile app. Q: Once I’ve returned my tickets, how do I use my Experience Credit to purchase a seat upgrade or additional tickets? A: Download the Wizards Mobile app for iPhone or Android and register for a text notification to an upcoming game. Once upgrades become available you will receive a text notification. Click on the link in the text message, select your seat upgrade and your Experience Credit will automatically be applied to the purchase. Q: Does Experience Credit carry over for future seasons? Q: Can I redeem Experience Credit for cash value? Q: Where can I view my credit balance? A: You can view your current Experience Credit balance in the Profile section of the application. A: Yes, you select exactly which seats are returned. Please note that if you return fewer seats than you own for a game that game will still count towards you limit of ten (10) game return limit for the 2018-19 season. A: No. Experience Credit expires at the end of the regular season and cannot be used during the NBA Playoffs.